Twenty-four hours in Tilburg isn’t on many a traveller’s bucket list. The small southern Dutch city does not attract much attention. Only the most ardent football fan would recall that it was in Tilburg on 20 April 1994 that Ireland’s Tommy Coyne scored the solitary goal against Holland. It was a warm-up ahead of USA ’94 and it was highly likely the last time the city was mentioned on Irish TV. What brought me to Tilburg was an invite to a 25th wedding anniversary party. I had gotten to know Willem through my beer tastings. He was a regular fixture in Probus Wines. A group of us from there travelled over for the laugh. It appears that if you’re having a party, the local butcher throws in the bbq, bar & kegs, gazebos, the lot just for buying the food from him. It’s a good deal, even if the beer choice is limited to Jupiler. 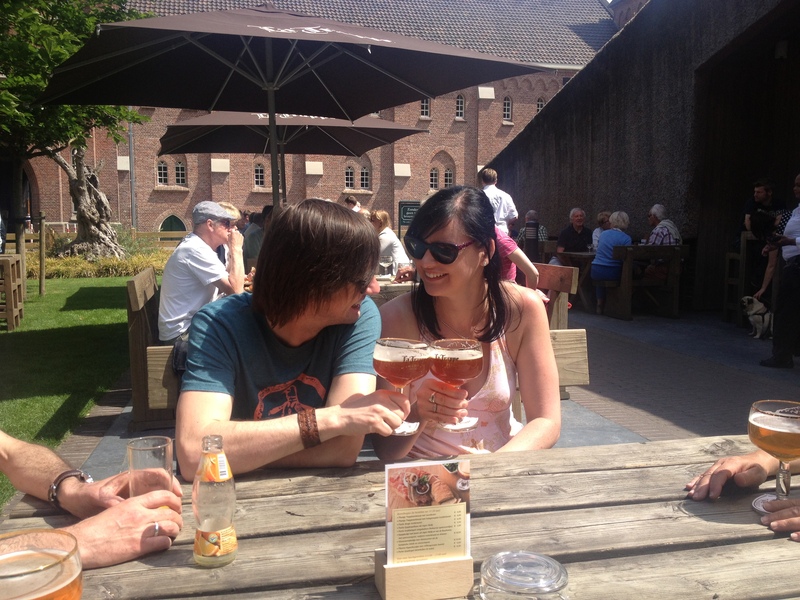 We did manage fortunately to try some Dutch beers from the local supermarket earlier that day. We were keen to have a look around the city the following day. Lonely Planet listed only two sights for the city, a textile museum and a modern art gallery. We were also apparently only 5km away from the ‘Dutch Disneyland’. Talking to locals the night before, it was suggested we take in the highest point in the city, no more than a larger-than-normal hump in the road. If we wanted, we could also visit tallest apartment block in the country. Well it was the tallest until the rival city of Breda built a taller one. This had all the hallmarks of a Springfield-Shelbyville sized rivalry. Willem had other plans. 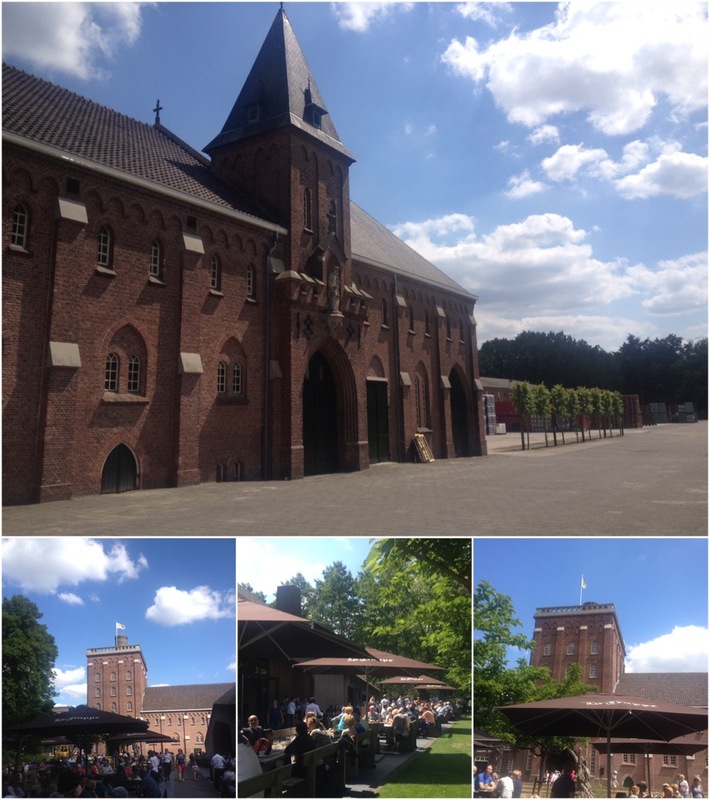 As it was a Sunday, he suggested we take a trip to a nearby monastery in Berkel Enschot. The Abdij Onze-Lieve-Vrouw van de Koningshoeven is situated on the outskirts of the city in a quiet, wooded area along a canal. This it seemed was the place to be on a Sunday. It’s a popular destination for cyclists and the whole families come trundling along. 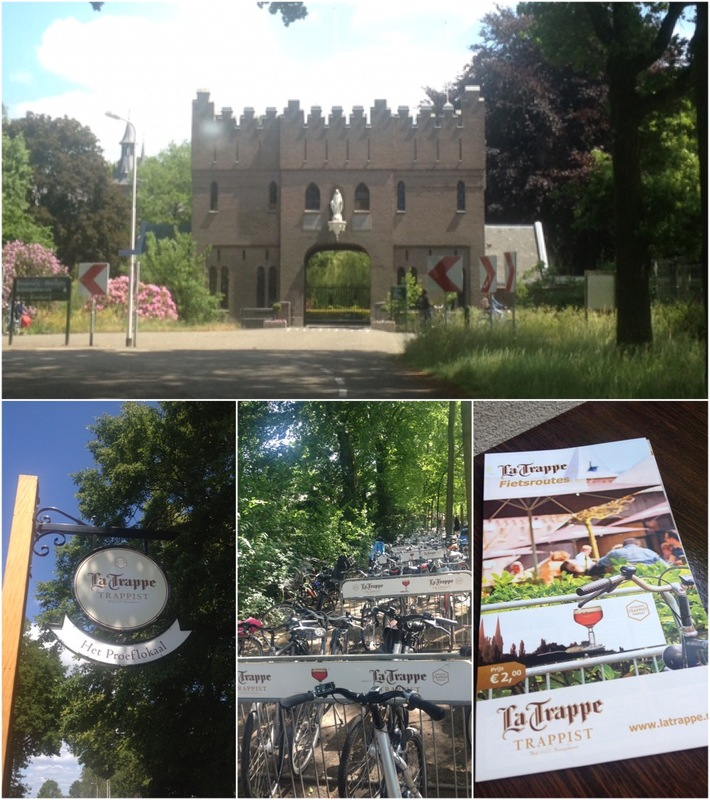 This particular monastery is better known as the home of La Trappe beers (Koningshoeven in the US) and at one time was the only non-Belgian Trappist brewery. There are now two in the country and others have commenced operations in the US, Austria and Italy. 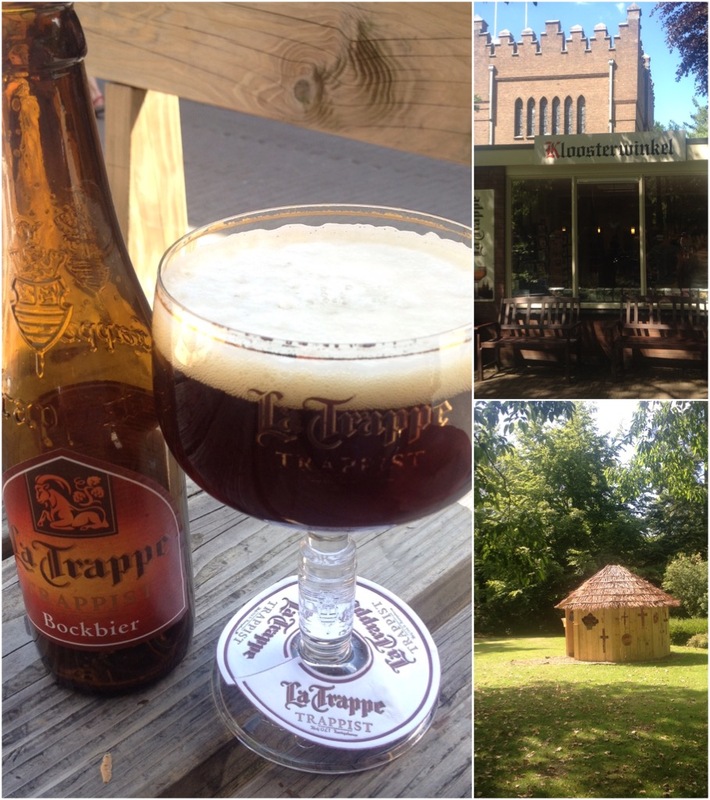 La Trappe is the black sheep of the Trappist breweries. It lost and subsequently regained the right to use the “Authentic Trappist Product”. In 1999 the monastery sold control of the brewery to industrial powerhouse Bavaria. They took this tough decision because the monastery could no longer support the brewery. We tend to forget that they are religious establishments first and breweries second. Trappist monks are reported to say that they brew to pray, not pray to brew. Thankfully six years later, following a new arrangement where monks would have a greater role in the production process, the brewery was allowed back into the hexagonal club. This wasn’t the first time that La Trappe had a flirtation with other breweries. They licenced their beer to Stella Artois in the 1970s. At one point, they themselves brewed a wit beer for Chimay. Imagine if that occurred today – a Belgian Wit produced over the border! This would attract scorn, derision and protest, well in the dark web of the beer world at least. Set in the gardens of the monastery, the brewery bar has the look and feel of an oratory. It’s a modern, simple and modest design. Rather than having an altar, a bar immediately faces the congregation of beer drinkers as they enter. The beer garden is extremely popular, which is hardly surprising given the number of smokers about. Beer and traditional Dutch snacks like Buitterballen were plentiful. 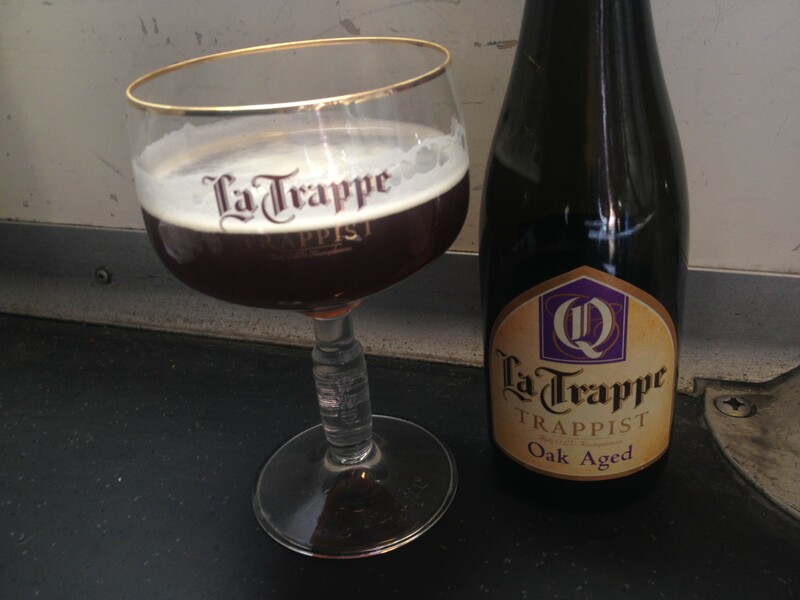 One of the remarkable things about La Trappe beers is their value for money. 750ml bottles of the Blonde and Dubbel can be purchased in Ireland for around €7. Here at the monastery was no different. Cars were pulling up at the shop, complete with monks behind the till, to purchase cases of their favourite local beer. The Wit beer in the local supermarket was 70 cent a bottle. Unfortunately, my time in Tilburg was coming to an end. I was getting the train back to Brussels National Airport. However, it would’ve been bad to have left here without having tried La Trappe Quadrupel Oak Aged. Batch 19 is the Quadrupel aged in banyuls barrels. I’m generally not a fan of this French fortified wine but could imagine how the sweetness could compliment the rich, dark fruit character of the beer. A bottle and glass were quickly sourced from the kloosterwinkel or brewery shop. This was set to be one indulgent train beer! The beer poured cloudy with an appearance of mahogany. Strong oak wafted from the bottle once the cork was popped. This aroma was not only immediately apparent to me but also to a fair few fellow passengers. It didn’t help that I was standing between the carriages, trying to pour this beer carefully into a glass. Once the oak notes had settled down somewhat, the aroma took on a plum, raisin and sherry-like character. This continued into the flavour. This beer was pleasantly smoother and creamier than you might expect. It’s unmistakably a Quad but it has an exceptional complex finish. It’s a blend of desiccated coconut, honey and sherry. All of this is on top of a warming alcohol finish. It was certainly an interesting sipper and helped the journey pass by. Tilburg was certainly worth the visit. 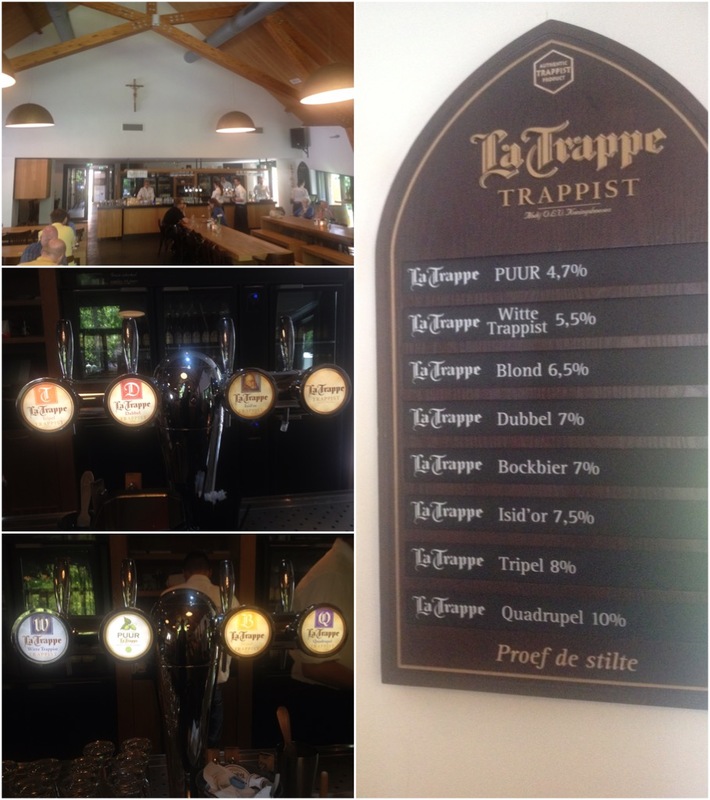 A number of beer bloggers will be touring La Trappe this week as part of the European Beer Bloggers Conference. Unfortunately, I will be unable to make this year’s conference in Amsterdam and excursions. I was registered to attend but other matters have gotten in the way. I’m already looking forward to next year’s event.